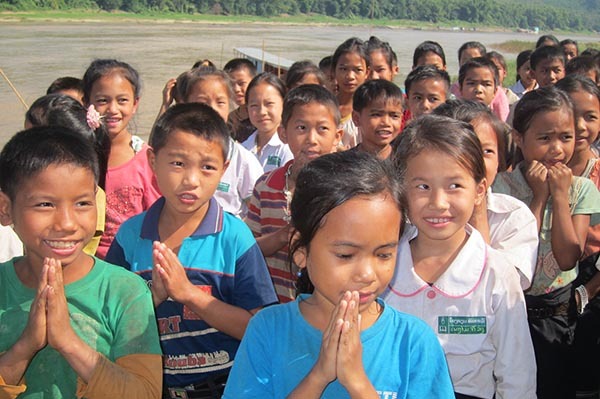 The main focus of our collaboration with CLI are the three book boats we fund that cruise up and down the Mekong and Ou rivers supporting rural schools often inaccessible by road. Over the years the boats have reached tens of thousands of kids most of whom have little access to books. The boat teams conduct educational games and songs, provide books, hand out essential educational supplies (as well as soaps and toothpastes) and above all provide great entertainment for the kids that is lacking in their everyday lives. In addition to the book boats Baraka funds a children’s Learning Centre at Nong Kiaw where over 200 kids attend regularly for arts, crafts, reading, sports, cooking and cultural activities. We also partner with CLI on various school infrastructure projects such as new classrooms, girls’ dormitories or toilet/shower blocks. We work with local people and other organisations to encourage full community participation. Over the last few years we have completed a variety of school and community projects with VTL who also assist us with our volunteer trips. 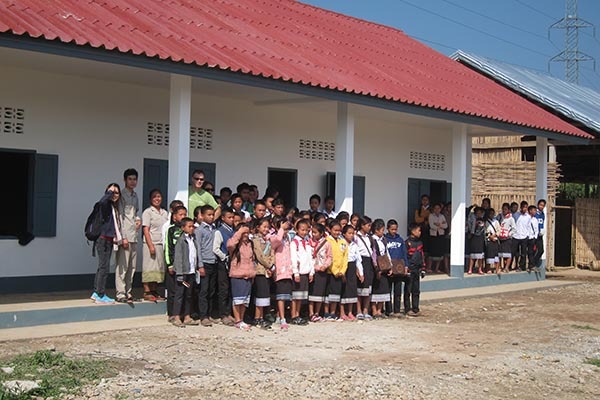 All of our projects benefit rural communities in the Luang Prabang province and include new village water systems, village sanitation programmes and school classrooms and dormitories. VTL also co-ordinate our Kids Days Out programme that is funded by Exodus Travels Ltd and gives over 250 kids a one off educational and fun day out experience. "BARAKA IS A WONDERFUL CHARITY THAT REALLY HELPS YOU SEE WHERE EVERY PENNY OF YOUR DONATION GOES"